With our advanced software we provide users the ability to search for freight, check in/out of a facility, monitor shipment throughout the entire haul, upload POD & BOL instantly and invoice with all the appropriate paperwork that goes along with a shipment. 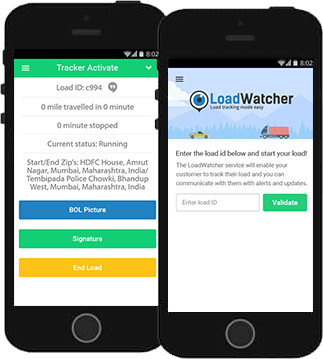 With a wide assortment of features for any kind of user (Direct shipper, 3PLs, Freight Brokers, Freight Forwarders, owner operators, and even entire fleets) LoadWatcher is the one stop shop no matter your industry. Search for “LoadWatcher” in the Google play or Apple Store then click install. The process of installation is quick and requires less than 3 mbs of download space. 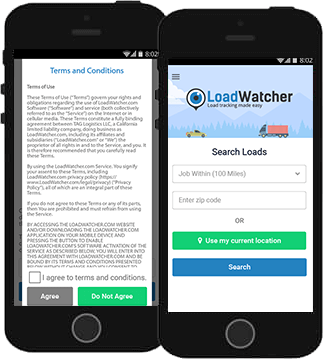 Once the application is downloaded you can start using LoadWatcher by simply clicking on the icon from your device. New drivers being monitored will be provided a unique 4 digit alpha numeric load ID from the customer one of two ways, either by SMS or verbally over the phone. Once the driver has this code, they will need to enter it into the app on their device in order for the monitor to begin. Once downloaded to a device the driver will only receive SMS text messages if they provide the customer their number. This helps give the driver peace of mind knowing that their phone number is not in the hands of someone who will abuse it, but still giving the customer all the information needed to properly monitor each shipment end to end. 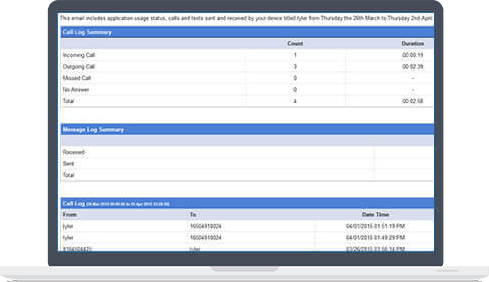 When the application opens, you will be given 3 options, all load ID for monitoring, Join a carrier, or register. If you are an owner opp working under a carriers MC# you will need to receive a carrier code from that carrier you are working with. If you are a carrier with your own MC# you can select register and create an account by entering your credentials. Please note that the phone number and email address you provide will be the ones that receive SMS text and emails. Service fees may apply, for fees please check with your phone provider. Once you have downloaded the LoadWatcher app, Shippers can find carriers in the exact area needed for pickup and Carriers can now locate the freight they need within a radius of their current location or specific zip code. Carriers will scroll through the entire list of available freight from closest to furthest. When a desired lane is found, carrier can then review details and requirements set forth by customer and either place a bid or return to the search page. After bid is placed the customer will need to confirm and select carrier for that run. Once both the driver and the customer have agreed to the terms of the run, LoadWatcher goes to work immediately, the customer will be able to monitor the driver from the point he accepts the load and begins moving toward the pickup location all the way to the final delivery. Email updates will be sent to the customer as frequently needed. The receiver will sign his name on the phone and driver will take a photo of the BOL to be immediately uploaded to the LoadWatcher system. An email will be sent through the system to the appropriate personnel within the customers team with a link to download the BOL for accounting. Now drivers will never be harassed to pull over and fax/scan a copy of the BOL for accounting again. 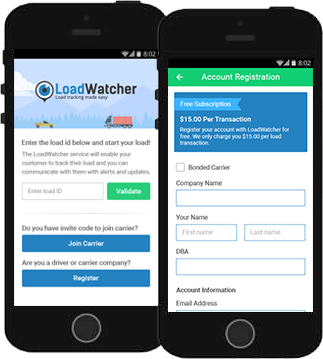 With LoadWatcher everything is already in the system to send an invoice along with all proper paperwork to anyone who needs it instantly. 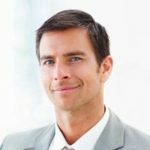 After delivery the carrier will have the option to email a copy of all the paperwork and invoice to their own accounting or to the customer directly within seconds.